Information sessions was a unique event with an opportunity to informally meet with organizations and businesses who will share their solutions to many of the barriers present for the hiring and return to work for employees with disabilities. The Lived Experience of persons with disabilities – what has helped or blocked sustainable employment? Lessons from the Independent Living Movement. Buy the e-book "Work Disability in Canada: Portraits of a System", by Dustin Galer. Watch Researcher Panel Q&A "How we got here". What are the pillars of a national strategy on the employment of people with disabilities? How can we improve the interface of disability programs to eliminate disincentives to employment? 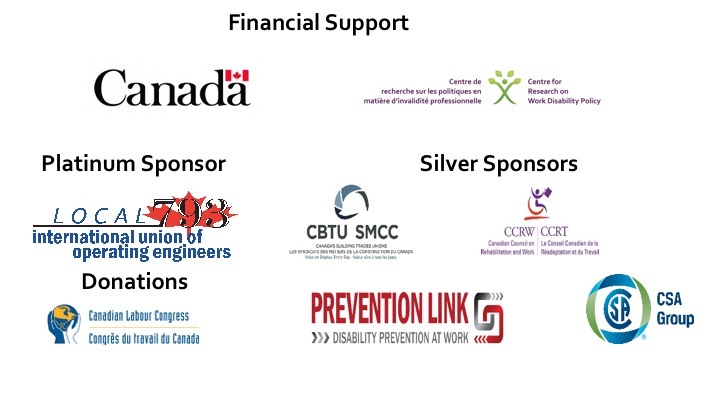 What changes in funding strategy need to occur to ensure people with disabilities are working? What is the role of community agencies in this? How can we improve navigation and portability of supports for income, employment and health & well-being for sustainable employment? What do employers need to learn to advance the employment of people with disabilities, differentiating between small to medium-sized enterprises and corporate Canada? How do we promote best practices to facilitate recruitment, retention and advancement of workers with disabilities?